We are a Full Service Garage with licensed technicians on duty at all times. So when it's time to repair or maintain your car, put your vehicle in our highly capable hands. Tune Ups, Brakes, Front End Repairs, Batteries, Oil Changes, Shocks, Struts, Suspension, Computerized Alignments and more. We also install Engines, Transmissions, Differentials, Drive Shafts, Half Shafts, CV Boots on any year, make or model where available. Customer Satisfaction and quality workmanship and great value remain constant. We have a highly experienced, carefully chosen staff who continue to serve Windsor and the surrounding area with pride. We love Windsor, and it shows! 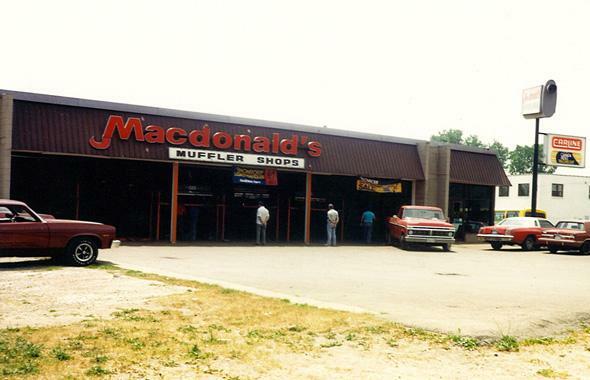 At Macdonald's Automotive, we're re-defining what a Full Service Maintenance Garage is all about. We have evolved over the years to offer complete service for optimal customer satisfaction! Servicing Windsor-Essex County since 1967!